This was the easiest and hardest title to choose. Since I’ve been staring at the screen for a while, all I’ve seen is the blinking of the cursor. I felt like it was taunting me and saying, “Go ahead, just try and move me!” It’s not the only thing that’s taunted or maybe, haunted me. My laptop is in a bag, which I keep in my room, where I do most of my writing. I’ve walked by said bag countless times. I’ve stared at it and swear it’s been mocking me too, “Go ahead, pick me up and at least move me from this spot!” I moved the bag by my favorite “writing chair” and decided it clashed with my décor of all things! Yep, I’ve had it bad! I’ve had a severe case of writer’s block that’s been accompanied by a severe case of excuse-making to myself, God or anyone else that has asked. Speaking of excuses, my phone is ringing! See how busy I always am?! Hmm…That was my husband telling me he was hungry as if I was to magically do something about it over the phone! See how distracted I always am?! I’ve had two calls, seven text messages, and two dogs interrupting me (I don’t mean my husband either). See how hard it is to get a minute of peace?! If I’m being honest, I haven’t wanted to write. I couldn’t bring myself to settle my mind long enough to string some thoughts together because none of my thoughts were making much sense. I try too hard to figure things out; there has to be a reason for things or some answer. I will contemplate and analyze a situation for combined hours. See how preoccupied I can be?! However, some things cannot be explained. What can’t be explained requires something from us…trust in someone that has the explanation. Where there’s a student, there’s always a master. I think you know where I’m going with this. In the case of being a Christian, we are always the student because Jesus is forever the Master. Once we accept our station in this relationship, it’s a sigh of relief. We don’t have to do the heavy lifting, know everything or shoulder the responsibility alone. In a world where uncertainty abounds, it’s so comforting to have the Lord to depend on. Every time I’d stare at this computer screen, I kept thinking that I needed to explain the last three weeks. A lot has happened that has profoundly affected me, not the least of which was the sudden death of two people I cared about. I have no answer for that. I have no reason for it either. I can’t find the logic in people mourning the loss of loved ones…I can only feel hurt for them and myself, for that matter. What I can find is assurance. What I do know is that God is always there when answers aren’t. It really is okay to just show up and whisper His name – showing up is sometimes all we can do. He gets it and He gets us. So often, we make it harder than it has to be when all we need to do is trust. Trust says, "I’m here and I know You’re there." Trust says, "I don’t know but I know You do." Trust is silent, but it speaks volumes. Trust just says yes. Every morning, my dogs wake me up at sunrise to go outside so I never need an alarm clock! This morning, in particular, the sun was rising behind the autumn-colored trees and casting a glow that was breath-taking! I stood there and thought that God gives us beauty and possibilities in every day. All we have to do is trust and just say yes! It's easier to say, "Whatever" instead of "yes," but the right thing to do is trust. I lost a baby a couple of months ago and it still makes absolutely no sense whatsoever. But I can't imagine going through the loss without Jesus. I'm fighting the occasional bitterness and depression with the Word. It's all we really have. Hi Joni. It's been a long time since I've been here. So much has happen since. Your page looks awesome. I love the forest. It looks beautiful. Happy past Anniversary and please tell Pastor Rod I said it as well. Saying yes can be a big leap, especially when God calls you to much. Especially when His pleasure for our destiny is larger than us. At least that's what Mary thought when God called her. In any event, just saying yes will please our heavenly Father. Jesus gives us a great example of that in John 17. In this chapter we can see Jesus praying and desiring to please God more than His own life. At least we know that Jesus felt hesitation sometimes too. Most importantly, if we just look at it as pleasing our Father, it will be easier. I've found that praying in the spirit for about 15 minutes helps also. Have a blessed evening. As always, I loved this post. Your writing is always so relatable and simply stated. Nothing complicated, always comforting. And at the end of the day, an absolute pleasure to read! Thanking God for you and your family's service to the body of Christ. Keep standing on His promises I pray your strength in the Lord in your spirit, soul, body and finances. I have also had writer's block, lovely post, I saw a beautiful rainbow yesterday, a sign from God, hope you are all well. Your latest post reminded me of my recent conversation on the phone with my Mother-in-law. The topic was trust and she shared a story with us that just touched my heart so much. She said years ago she went through a very hard time and she became upset and she lifted her fist up to God and said : “Oh, Lord why do I have to go through this ,I do not deserve it ! !” In that moment she heard a sweet and gentle voice in her spirit speaking to her : “Did I deserved to die for you on the cross? ?” She immediately became embarrassed and repented right there. What a testimony ! Ill be honest I've been in similar situations before. .Many years ago one night I was hitting the floor with my fist telling God why me?? Why do I have to go through this ? In that moment His precious love just filled my soul and His sweet presence just surrounded me as a blanket. He showed me that he was right there with me. Jesus didn't have that privilege ! When he died on the cross in his final moments He was all alone. No comfort ,no love ! Isolated ,totally separated from his Heavenly Father He hung there . Through the agonizing pain and the burden of our sins on Him , He still had the strength to look at us in the eye and say : “I do it for you ! I die for you because I love you!! “ What a love what a sacrifice ! No matter what hardship we have to go through in our life , even if it don’t make any sense ,even if we feel like we do not deserve it , we never have to face it ALONE !! He is right there with us all we have to do is TRUST!! He found us and saved us and He certainly knows how to keep us till the end ! We will make it !! Where will be no more suffering, no more sickness and no more tears ! Will be joy forever and a happy reunion!! We just have to make sure that our loved ones will be there also, so we have a job to do. Fulfilling the Great Commission ,spreading the Gospel ,One Soul at a time !! I love reading comments...I really do! The comment page is always a reflection of what I've tried to put into words and you all just do a better job! All of us have been through some stuff! I was talking to a friend yesterday and she said, "How do people go through life without the Lord?" I cannot simply imagine facing any day without Him to talk to or cry to! God's presence is real and reliable! Last night, I had a situation and had no idea what to do or how to pray. I just simply told God that and asked, "I don't know what to do but I know you do...HELP!" He did help but I had to notice how. He didn't completely fix it the way I'd like but He did send help and peace-that was good enough for me! Often, we miss what God does when He doesn't answer prayers the way we want. I wish it was easier than that but would we grow if it was? I think we all know that answer! Well, back to some other work. I'm glad I got the chance to chat today. I pray that God blesses you with peace. May He calm the waters of your troubled soul. 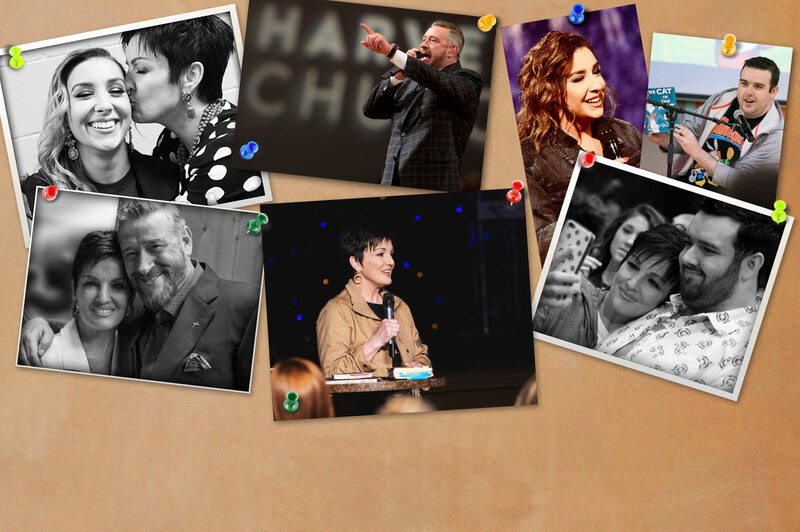 We just wanted to let you know how much we really ,really Appreciate You and Pastor Rod Parsley !! Thank you for your prayers and commitment in serving God so faithfully no matter what comes your way!!!! Thank you for bringing the Cross back to America's pulpits and around the World !! We are so proud of you ! We love you and greatly appreciate you !!! On what do those without Christ do in trouble? I have seen this first hand several times but too close for comfort the past eight months a couple and their children have lived with us. I was so broken hearted to see the needless turmoil they were enduring for every moment they have been married lack of peace has resulted in all types of ailments by each of them. So I yielded my home and self to be used by God to minister.the love of Godto them. Hitherto the Lord has kept us. Much prayer for grace and courage to preserve my testimony. God's Mercy kept my husband and I. Last Saturday my sister inlaw said to me I am coming to church with you tomorrow this was after she has resisted for 8months stating I have no interest nor any desire to attend your church. Long story a bit shorter She did come last /Sunday and has given her life to the Lord Prayer changes everything Glory to God!!! Everything I have testified of my faith have been tested over the past eight months all at once I felt if Jesus did not come I would totally become unglued.But with all the encouragements from the pulpit at WHC and private prayer and reading Again God has proven Himself. Most faithful. Oh sweet reward, two in and two to go. I sat all that there is a cause for prayer for the lost; people are hurting even at arms length we need not go for to find a cause. The rich, poor educated and unlearned need desperately to know the Love of God. They know nothing not knowing the love of God!!! It was nice to hear from you this morning in the worship service! I hope you all have fun in your fellowship with all the moms getting together for a time of refreshing. I enjoyed the worship service this morning see you all online tonight. Joni and Journal family - Just a short note to let you know that I am so happy that Doctor/ Pastor Rod Parsley is having the Nov 10th evening service right before Veterans Day! There are so many wounded, hurt and un-honored Veterans that I feed that the Lord wants to honor them and their caring families with this special prayer service the night before. I am a Veteran also and greatly appreciate the cost that the Pastor and his family are paying for this special occasion and the HEALING OF OUR NATION. We are all soldiers of the cross and continually fight, pray and believe the Lord and his word even until death. Yes that will be a special service! A night of miracles it must be tough going through what you are dealing with! We know God is faithful and he is always with his saints. I will be believing and praying for your miracle. I as we'll wish I could be there for that special night I live I Missouri so I will watch it online. I did visit WHC in July of this year. I wish I had known about Nov 10th I would have waited and came for that service although Nov 9th is my mom's birthday I would have not been home but she would have mind because she is saved as well! Hope you feel better love you! Hi mrs. Joni hope your having a great day! Love you! You looked so lovely when I saw you online at the end of last evening's service! Pastor's words last night, "Final words are important", brings me to your post "Trust just says yes." You and Pastor's words invite me into His garden. I believe I heard Pastor say you are speaking this Saturday morning, and the topic included the word "fountain." I am declaring that the WHC family's "writer's block" has been a garden enclosed, a fountain sealed (S of S 4:12). As the "north wind" and the "south wind" have been blowing upon our gardens, the fruit of His Spirit with rarest of spices will flow from us (S of S 4:16)...now & this weekend. Thank you Joni for your posts and comments! Keep inviting us to trust Jesus, up the hills, through the winds to the Fountain - "finish line" Joni! Wow, this brought out tears. Sitting here reading some of your journals, but this is the one that our Father answered my prayers from today with. Did you think that when you were writing this one that it was going to change a woman's heart and life? Awesome. Thanks. Okay, don’t start wondering who I’m talking about…I’ll never tell! Let’s face it; all of us encounter difficult people in a day. It can be anywhere from someone you know to someone you don’t. You know the ones - the rude cashier, the discourteous driver, the impolite server at a restaurant and let’s not start on those who work at the BMV! I’d rather get a root canal than go to the BMV - it’s much less painful! More and more people have offensive behavior and so the offensive list goes on. The key word is offense. If we’re not careful we can be the ones to get offended and carry around quite a “chip on our shoulder”. Our guard goes up and our walls don’t come down. There is one solution and I don’t always like it...but I need it. There are times when I want to “say a thing”! Not long ago, I was checking out at a store and the cashier was so rude. It was one thing after another and topped off with, “I can barely read your name on your credit card; I’ll have to see your ID.” Not usually a big deal but she took my driver’s license and examined it like the FBI and held up the picture to my face to make sure we were a match. I was getting embarrassed since it looked like I was a suspicious character trying to use a stolen credit card. Finally, she gave me the okay and then complained that she couldn’t hear me along with a few more things when I asked for a receipt. Yikes, as if! I thought for a minute and looked at her. I wanted to tell her how rude she was and that she should get a job as a prison guard or something! But then I wondered what her life could be like. Was she angry, was she tired, was she in a bad marriage, did she have teenagers (that could make anyone cranky! ), was she verbally or physically abused, did she have financial problems? Moreover, could I have compassion instead of anger? Sigh…what would Jesus do?! We know the answer. We may not like the answer but we know it, nonetheless. So I kept my mouth shut, thanked her and wished her a happy weekend. Then I left and remembered the sage wisdom of a friend who told me to “always answer with prayer". Oh, but sometimes this forgiveness thing is so hard! We’re hurt, injured, upset and feel like throwing that offense a life-preserver before it drowns! We need it to stay around a little longer in order to justify our words or actions…um, I admit it - guilty! On the other hand, I’m not saying to be a doormat, but we do need a filter not a fit! When we just stop a minute before reacting, we can let the God in us overpower the “us” in us! There are times we can tell someone that they’ve said or done something hurtful, especially those we know and have relationships with. It still can’t change our response in the end. We may not get the “I’m sorry” that we want or deserve but we don’t get a “get out of jail free card” either. Our right to be right ended the day we asked Jesus to be Lord; we had to give up the throne! Yeah, yeah…I get it. "But what about my hurt feelings?" Well, well, well…Your feelings matter because YOU matter. He loves you through that hurt and harm and tends to your wounds and bruises. We must quiet down long enough to think of how we need Him so then, we can let Him. To let means to let go…let it ALL go! God has big shoulders and He can bear anything! People can be thoughtless and careless for many reasons. Praying for these difficult people keeps our hearts right and therefore, ready to receive from God. I was hurt just this week by someone I care about (and isn't that the hardest kind?). While I was driving, I began to pray and this scripture came to me, “Create in me a clean heart, O God and renew a right spirit within me.” (Psalm 51:10 English Standard Version). It worked! I’ll tell you what happened next week! We’ll also find out who’s doing the fighting in “The War of the Roses”…tune in next week for Part Two! There was so much to write about on this topic that I had to divide it into two parts! Dealing with difficult, challenging people is a huge issue for the believer that is commanded to walk in love...so much easier said than done! But, walking in THAT love can make it easier and freeing. God's way always works better than mine...imagine that! By the way, I've been working diligently on the book which is why my comments and posts have been lacking a bit. But, after the deadline (July 1) things will get back to normal. We are nearly finished and it's getting exciting! So much work has gone into this manuscript-I never knew what an arduous process it was. But, I'm so thankful and grateful that Charisma House (Publishers) took a chance on a first-time unknown author. God is so faithful and so good to us! I would be honored if you would pray that these next few weeks are successful as we strive to finish up.This is God's book, not mine. I want these words to be inspired by Him to reach the people that will read it and need to read it. Shh! I've got a secret-we will be offering something extra to the Journal Family when the book comes out! Details at a later date! As of right now, the book is scheduled to come out in early 2014. Thank you for your support and encouragement throughout the last six years that I've been doing this journal-it has been a pure delight! Enjoy your weekend and spend it with loved ones and the one who loves you most of all-God of all grace. Serve those that have needs in some way and worship Him with your brothers and sisters at church. This is a promise...it will bring you more joy than anything else you would do instead and it lasts too! Thank you Mrs. Joni. This really blessed me. Especially the part about us having given up our right to be right. I have been dealing with this a lot on my job lately. And sometimes I say what I feel, in a polite way, but I still say it. There are times that I feel as though I probably should have responded meekly and not have said what I felt. What you just blogged is a reminder to me that I must show the love of God no matter the situation. Our words can make or break a person's day. And our example can lead a person to Christ and give them hope. I will remember that as I go forward. Thank you. Adding another tool to the toolbelt--- the cliffhanger? Aaargh. Good things come to those who wait! I reluctantly admit you and I have been walking the same path on a different road this week. The temptation to react has been been an unwelcome companion. I'm so thankful for grace and the leading of the Spirit. I won't write that God has been faithful --- because God is ALWAYS FAITHFUL. Thank you for the reminder that quietness and humility is the key, and always "answering with prayer" should be our automatic reaction. Keep working on the book, it will be a reflection of the glory of God in our lives, and a blessing to many. Speaking words that it will be a best-seller with staying power! What a great post There's a song by Cher which goes "If I could turn back time" If I had just thought a situation through I would never had hurt my friend Esme as I did a few weeks ago. We can't see each other at the moment, but I know God will heal that situation at the right time. I know I often speak without thinking, It is a lesson I need to definitely take on board . I really like your new post. The part that touched my heart the most when you shared your shopping experience and the way you changed your mind instead of saying something back to that cashier lady out of aggravation you stayed nice to her. How beautiful and a true example of being a Christian. Living without Christ can be the most miserable life experience .Even as Christians we are not protected from troubles , hurts and other challenges but at least we are not alone . Those who don’t have hope in God must rally have a hard time living and coping with daily challenges . Years ago I was one of those people living hopeless and wondering if there is any love and hope in this world? I work with unsaved people and I always pray for opportunities to minister to them and invite them to church. I don’t talk about my religion at work but I try to live my life as an example. Some of our co-workers that we invited to WHC got saved , some of them sent prayer request in with us and God answered their prayers. Some of them even attend our life group. My parents are my constant reminder how miserable life is without Christ. I have to admit they are very difficult people to deal with. Every time I talk with them I have to bite my tongue and just smile even if in my heart I cry. They say hurtful things all the time but I look past that ,because they don’t know what love is , their life is empty and full of hurt . Jesus loves them so much ,He gave His life for them so how can I not love them and forgive them every single time? I love them so much ,if I could lay down my life for them to be saved I would do that. I wish it would be that simple. I will not give up, until I have breath I’ll believe for their salvation . I know prayer works. Having said that I don’t have any problem dealing with unsaved people even if they are difficult sometimes because they just need Jesus. What I still don’t understand and hurts me the most when “Christians” hurt each other . We’re suppose to love each other and lift each other up not tear down. Getting saved from the world and seeing all the controversy in the body of Christ many years ago as a young Christian I cried out to God with a broken heart. He spoke to me and said : “ Don’t look at people as your trust and source . You will be disappointed. I saved you to trust and focus on me as your source ,then you will stay strong and your going to make it”. On that night God became my everything! In Him I’m safe and in Him I find everything I need. A great post. I am dealing with this at work with one person in particular. I try to remember hurting people hurt others and she probably is going through stuff in her personal life. I do want to tell her what I think but I pray and hold my tongue. I so can’t wait till you finish your book! I know it will be God inspired because everything that you write on this post is! You are way overdue! Thank you for all that you do and with a willing heart at that! “Not mine will, but thine” is our motto. 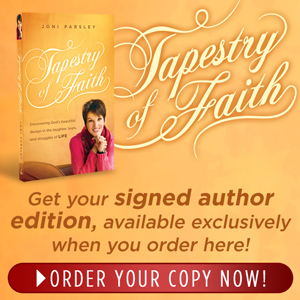 Well Joni, I have been praying for your hubbys’ new book also! I know that everything that he writes is God ordained and full of power from another world! I have been on vacation and I must say that it’s been the best ever! 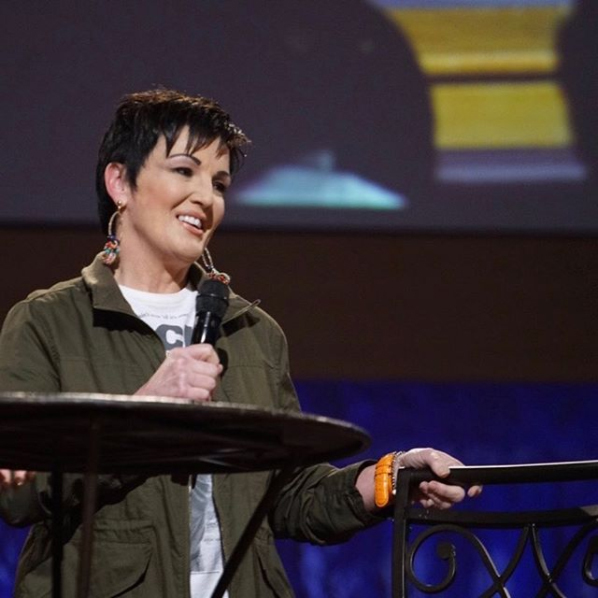 I didn’t go on a cruise or take a trip to the tropical Islands, but I simply relaxed and as I did, I feel like I’ve been on one because when God is in it…no matter where you are or what you may do, that’s just how God will make you feel! But I think it’s time for me to get back to work! This talk of prayer made me think of what happens when we react and dont pray first. It always turns out badly. I thought of Jonah who reacted and didn't pray first. He wound up in the belly of the whale and almost died. I try to tell myself to stop and pray first and then speak or react. I also feel like I get to decide if I am going to let someone ruin my day. I just pay them no mind and say lord, I am putting you first, lead and guide me today in all your ways and help me live the life you have planned for me. Glad to hear you are writing a book. would love to read it! I also believe that your book will be a best seller and blessing to all who read it..
As I sit here listening to the local tornado sirens going off, I pray for protection for the states involved. This is the eve of my Dad's birthday. He would be 107 tomorrow. Finally, a chance to write! Life has taken us on an unexpected journey the last week or so but God is always our constant companion. I am always amazed at the peace He brings in the midst of any crisis. He is a deep breath when I get out of breath! I was trying to go to sleep one night yet so much was troubling me and my mind was racing. I began to cry and then my dear husband clicked on his phone and a portion of a Brennan Manning sermon came on and I went from crying to weeping-there's a difference. My crying was emotional but my weeping came from a place deep within. That place reaches out to a Father who is waiting to simply hear from us...He never leaves even when we do. He is patient while I go off on my own, trying to figure it all out, and then realize "I have need of Him". Sigh! The words of Father Manning were profound yet simple and asked one question-"Do you really believe God loves you?" He continued to describe that love and that's why I wept. What mercy, what compassion, what longing all of which no human can describe. Who can describe the indescribable? Anyway, I promise to get that link for you. I know it's on YouTube but that's all-sorry! Anything that dear man of God says is worth listening to. I am in tears thinking about it. For some reason, I identify with him and love his writing so much-it has greatly impacted my spiritual life...which is life indeed! Well, I hope to finish part two of "The War of the Roses" in the next few days. By the way, thank you dear readers for walking along and reading along! love the new look its so bright. Yes we go through things in life. But God is a comfort. I cried alot in the past and occasionally I still do sometimes. My mom and I live together and I dont want her too see me crying because she has seen enough of that and I dont want to upset her over my problems, so sometimes I cry softly. Just wanted to let you know I truly understand even though we all have different battles to fight in life it can be overwhelming. Love you! For we know God is FAITHFUL TO HIS SHEEP! Our Weimer Weimer held on Saturday 22, 2013 was such a pleasant one. My eldest sister, Betty, who atended WHC faithfully at one time, kinfolk were there. Kate Rogers who sang in the choir gave witness in my spirit that chains can be broken. One year ago she had to carry a large oxygen tank with her. This year, after a near death crisis from bleeding internally, she has lost 200 pounds and is walking without oxygen and no BP medication and residing in senior housing . She was radiant and in her words, "God is not finished with me yet." Betty's granddaughter who is a graduate of your school, is now studying to become a massage therapist. Seeing my sister, Judy, was a delight as well and to oberse all the "little ones" at play. As I reflected on my documented wedding vows and hearing the song "He loves us", I believe there is hope for my situation, if I just back off and allow God to do the necessary work. Well…here I sit and sit and sit as I enter week two of post-surgery recovery! My day has little variation and I can always be assured that there will be sitting! One exciting highlight is my ride in the car to therapy! Once I get there, however, the torture begins! Friday, the doctor aspirated my knee with a needle that made me nearly fall off the table! I now have a whole new level of compassion for anyone that’s gone through this. It’s not fun but not serious so I don’t want to sound like a whiney baby! Other than sitting, however, I can walk with crutches which is worthy of You-Tube…it’s a little comical at times! Now, perhaps you can see why I’m bored! Nonetheless, I promised I’d use my time wisely. I’ve been able to read and do a lot of thinking. Naturally, when something is taken, I realize how valuable it is. It’s like when the power goes out, I realize how I take electricity for granted. Being able to move around, and have the freedom to do what I want or need, has been compromised. I walked around my kitchen today wishing I could cook. Then, I wandered into my laundry room longing to do some laundry! (I know I’m strange!) I wanted to drive my car, leave my house, or go somewhere….AAAHHHH!!! l trudged back to my room, hooked back up to the ice machine I have to use on my knee, and watched the beautiful, fluffy snowfall. I had a choice to get sad or get busy…I chose the latter. After all, I’m thankful to have a house to be in and grateful that my surgery wasn’t serious. Sure, to be honest, I feel crummy but this has an end. “The sun will come out tomorrow, bet your bottom dollar that tomorrow there’ll be sun!” Yes, I’m singing it too! Anyway, with resolve, I did what I could do and realized the many advantages to having this surgery and recovery. My body wasn’t the only thing needing it, my spirit needed recovery too. The freedom that I felt was taken, had really been given instead. For weeks, I’ve huffed and puffed through days and weeks wishing for quiet time. I’d look at the books on my nightstand, which had gone untouched, and longed to give them my undivided attention. I realized my books weren’t the only things needing it either. Having time to really talk to God made me see how He was getting my attention but it was divided…some here, some there, and some in-between. Don’t we give our time to what we love or whom we love? If something or someone gets ignored for too long, something happens, or doesn’t happen, to let us know. There are times when we’re searching for answers when we only need to ask questions. If we’re honest with ourselves, those answers can usually explain a lot. If we unravel the mystery, the clues are often pointing at us. Simply put, we can see what we’ve committed by whom we’ve omitted. Many years ago, Frances J. Roberts wrote the aforementioned book. I’ve had several copies of that classic that I’ve given away. But just like God, a dear friend bought me a lovely pocket devotional that sits by my bed or in my purse. For now, it’s bedside so I can read it methodically because the words are so deep and meaningful. The author described her writings with profound words that brought tears to my eyes and understanding to much of life’s major or minor ordeals. I want to thank you, once again, for all the prayers, well-wishes, and wonderful gestures as I've gone through this surgery ordeal. I'm doing better and hope to be back in action soon. I guess being sidelined has brought me some time and I wanted to express the positive side of this. Believe me, it took some time to see it the first few days...pretty ouchy! God is SO good and I just want to draw closer to Him. I've been reading the book I discussed, and and one by E M Bounds, and told my husband that I don't even feel saved! They write with a passion, devotion, and a knowledge that I want and need! Being challenged is a good thing and it brings growth when we're open to it. We can't get comfortable or complacent...it opens the back door to the enemy. Thank you for being such blessings. So glad to hear that you will be back in action soon. That is what I have been praying for that you, would regain your strength real quickly and be back on your feet. Love you and miss seeing you sitting in the church service. God Bless!! Prayers for you for supernatural recovery and that your bordeom is supersceded by His presence! Mrs. Joni! If absence makes the heart grow fonder I am about to BURST! THE TABERNACLE IS NOT THE SAME WITHOUT YOUR SMILING FACE!! I miss you! Really I do... ALOT! I love you so much and I pray that you are strengthened by those who visit you, help you and encourage you through the next few weeks! I can't wait to get to see you! I am thankful for you and Pastor. I can relate a little to what you are experiencing. I have ongoing issues with my right knee. Six months ago my ortho doctor said there's no hope to save my knee, it has to be replaced. He followed it with "but we can't do it now because you are too young". So I have been getting injections, therapy etc....Then the meniscus was shredded. I spent six weeks off work with physical therapy. I have been doing ok with a noticeable limp and severe pain at days end. Well wouldn't you know at work Saturday I had just finished getting meds out of the Pyxsis for one of my patients and when I went to walk out of the med room I felt something pop at the back of my knee. I was frozen with pain and nausea. I managed to finish my shift. I went to urgent care today and the only two words that stuck in my head as the doctor was telling me how bad my knee is was "torn and unstable". The doctor wanted to take me off work but I said "no". I was fitted for a knee immobilizer and given some prescriptions. The doctor said I needed the knee immobilizer to keep it still so things can reconnect and grow. All the way home I kept wondering if that's how my spirit man is right now. "Torn and unstable". I haven't been giving Him much time. I have been following my daily reading plan, briefly praying at different intervals throughout the day, but I really haven't given Him steady stable affection and time. Maybe I need this " immobilizer"( time on bed rest) so I will be still for a season of reconnecting and new growth. Thank you so much for your post. I love you! "Shut the door, keep out the devil . . ."
Hope you are feeling better, you are in my prayers all the time. It would had been my parents wedding anniversary today my Dad died 2 years ago. Just thinking about you and will continue to pray for your recovery from surgery. I thank God for you and the anointing he has placed on your life to share pratical wisdom in your journal. I thank God for the anointing he has placed on Pastor Rod's life to preach the Gospel. I am honored to be in partnership with WHC to help spread the good news of Jesus Christ. Look forward to being with you all this summer for dominion campmeeting July 6-7 Love you all have a great day! Just to say I hope your knee is healing and that I too continue to pray for your recovery. Aww thanks everyone! I appreciate your prayers and know they have made a difference! I'm feeling much better and getting movement back in this knee. I still have to hobble on crutches but not for too long! One of the best parts of being grounded is getting visitors! I had a visit from my little great nieces today and I was overjoyed! They are two yrs. and nine months and too cute for words! Those are fun ages and I love watching them discover the world and enjoy it so much! The things they do and say are so adorable and my heart just melts! Little ones are always happy unless they're hungry or tired-it's just that simple. I find a lesson in that. They depend on mommy and daddy to make it all better and meet their needs. They never worry or fret and are happy once those needs are met. As they grow older, they can cry because they want their way but are only denied because it's whats best for them and helps them grow up properly. When Ashton was little, she used to cry if I didn't let her ride a laundry basket down the steps like a sled! There was an obvious reason why I had to say no! As we grow older, reasons are obvious and not so obvious but just like little ones, we just have to trust our Father. We may not get our way, but He has reasons and seasons within His plan for us...it's just that simple. Once again, thank you for your prayers and words of encouragement! What a blessing you are! May I encourage you to TAKE a moment to MAKE a moment for someone else today! I called my widow sister who is alone in PA. I will keep in constant touch with her as she appreciated it so much. Thank you for your encouraging thoughts/words. Joni, I completely understand about the E.M. Bounds book. I picked up his book on prayer and could not get past the first paragraph without weeping! Was able to view 02/17/2013 AM; it was awesome!!! My prayers and thoughts are with the entire Parsley Family. Well...week three-ho hum! I just got home from therapy for this knee but I'm getting better and stronger each day. Plus, I got to go from two crutches to one and I can maneuver much better! I can't believe its almost March but that means Spring is around the corner. Winter can have some rough moments and often, life seems to have winter too. In Ohio, it's dreary and we're having snow showers...again. If you're experiencing some "Winter" in your life, I encourage you to scroll through the archives and read "The Winter of My Discontent" from Jan. 2011. I was telling someone that there are times when I write and then times that I feel like God is doing it and I'm merely His typist. That post was one of those times that I felt divinely inspired so I take none of the credit! We can count on the seasons changing every year but God never changes. His Word is truth and it is SURE! He's never changed His mind or His mode of behavior towards His children. I never have to wonder, in a crisis or in a moment, if He is willing to listen. He never tells me, "Come back a little later, I really don't feel like it and I'm honestly bored with your needs!" He is love...all the time! By the way, we have church tonight and PRP is preaching on the Seven Anointings. He has been preparing hours upon hours so this is going to be GOOD! Be there live or online @whclife tonight at 7:00 pm. Just want to say I admire your stamina and determination to move forward (moving is an effort physically yes at the moment as you are being restored from surgery), but just to disallow this interruption the opportunity to take you out and get you down. Your words are always a comfort and encouragement to take each day for all it's worth and allow God to use it. He let's us look back often enough to remind us, we are moving forward, whether snails pace or the over zealous "hare", yes we are not where we were and whether by inches or miles, He's with us pulling, sometimes for me, pushing, but ever helping to keep me from getting complacent or complaintive! Being the caregiver as I have been through two knee replacements, and recently a rotator cuff (right arm no less), I do appreciate the strength you and my wife have exerted to let the enemy know, we might get bumped, knocked down a notch, but there's just something about watching the "gettin' up" and going again, to say, yes we can go forward with His help. You are in our prayers and thoughts and we look forward to see what you will share again when you can. I'm very sure you've gained more than a couple "nuggets" and more, that will be eagerly received by us and all who read your journal. Thank you. Forgive me for being remiss ----it has been my intention for a long while to write you a brief "be healed speedily in the name of Jesus" note, but I've been putting out family fires, dodging arrows, rocks, and even a a boulder or two. It has been like war. But then war keeps one alert and every sense is heightened and ready to respond appropriately to the events taking place. However, after adversities have passed one ends up stronger, wiser and have a greater perspective of who He is and what He has done while we "go through." Always remembering that no matter what comes our way, He is there to sustain us, to keep us, to encourage our hearts. Knowing that He is still on the throne and in control is reassuring. Sometimes there is a need to get away from the conflict, the disturbance for a kind of Rest & Relaxation (as soldiers do) which allows time to reflect, be thankful, regroup, and come back ready for the battle because there WILL be a battle still going on. We come back refreshed, more focused, more determined--ready "to run through a troop and leap over a wall." I know that those arrows, rocks and boulders that come my way pale in comparison to the missiles and bombs that are directed to pastor and I know that sometimes all of you feel the fall-out. Please know that I keep all of you in my prayers (Mr. & Mrs Parsley also). knowing that "no weapon formed against us.....every tongue.....this is our heritage....!!! amen. I rejoice in learning of your PT. Wednesday, February 27, 2013, I was admitted to the hospital with atrial fibrillation (40-150). My heart specialist scheduled me to have my heart shocked the next day, however, it was not necessary. I recovered and was sent home Saturday to resume normal activity. It was a very frightening experience in the ER. My sister was in constant contact with me and the local churches prayed. My widow sister, from PA, slipped on ice February 22, 2013 and was brain dead and had to be removed from life support. I'm so glad I had the opportunity to share with her before this happened. Now the siblings alive total 11.